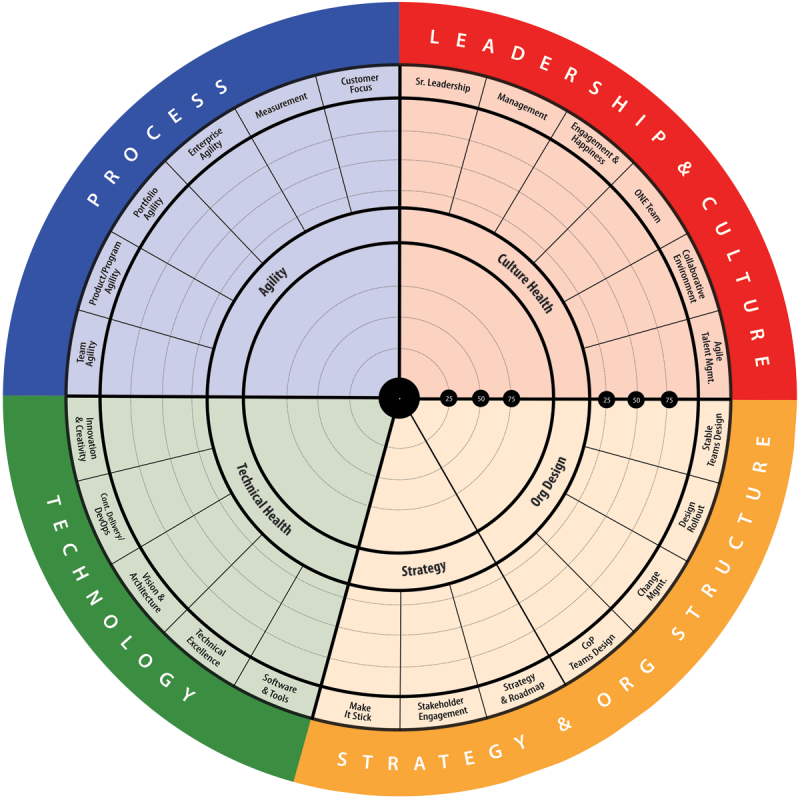 To help a transformation leadership team assess their current state and develop a quarterly transformation roadmap. Typically taken by senior leaders from IT, Business, HR and other stakeholder groups who wish to create an overall strategy for a business agility transformation. Once a quarter or 3 times per year to check-in on the transformation progress.